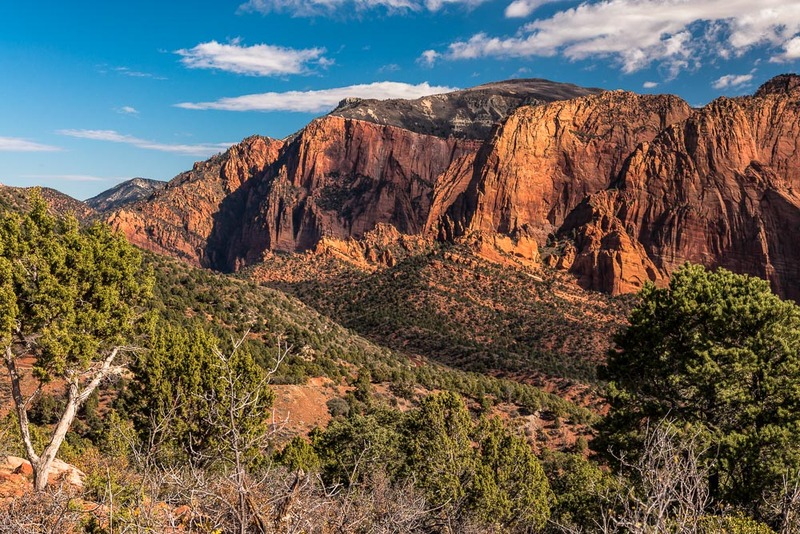 Our last scenic location visit during our recent trip to southern Utah was to Kolob Canyon . 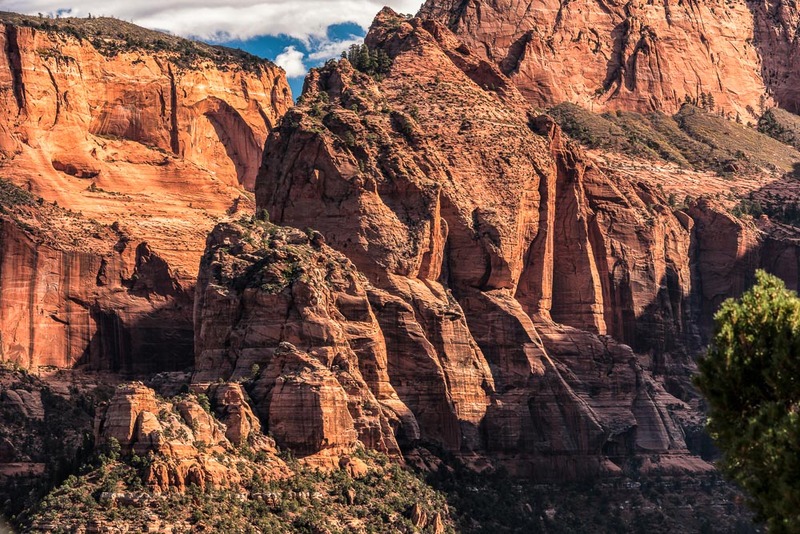 Jayne and I had visited the main entrance to Zion National Park earlier in the week. 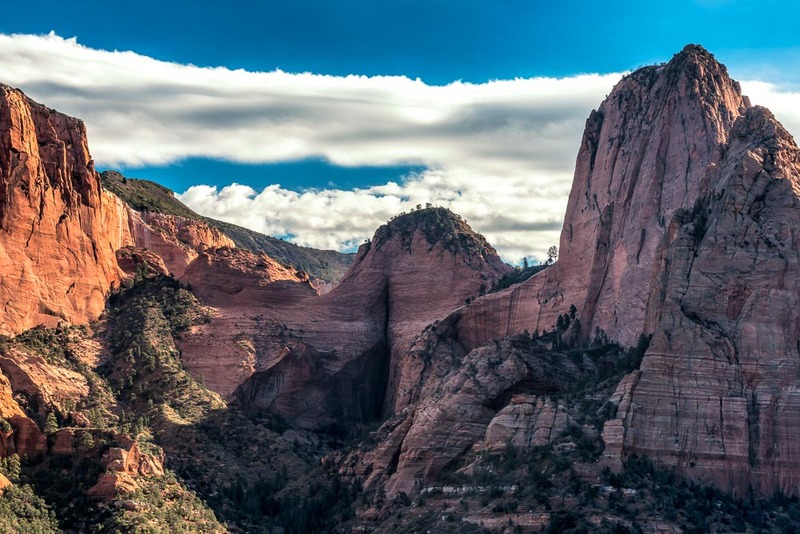 Our Kolob Canyon exploration was different in that the entrance road takes you higher into the peaks rather than at valley level between ridges. The six mile access road ends at the Timber Creek Overlook. We decided to hike the Timber Creek trail which was short but offered spectacular views of the peaks in this canyon. The actual overlook at the end of this short trail was at 6336 feet. I hope you enjoyed my brief glimpses into the amazing landscapes of southern Utah! Merry Christmas to all!